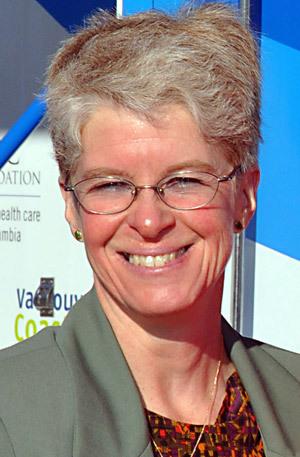 The Michael Smith Foundation for Health Research has awarded $149,000 to a province-wide research team co-led by Kathy Rush, associate professor of nursing at UBC’s Okanagan campus, and Monica Adamack, regional practice leader, clinical education, for Interior Health. Given through the BC Nursing Research Initiative’s Commissioned Research Program, the funding will support a project that examines and identifies best practices in the integration of new graduate nurses into the workplace. "Educational institutions play an important role in preparing students to enter the realities of the workplace," says Rush. "Ensuring the readiness of new graduates for practice remains a challenge with the growing acuity and complexity of care coupled with technological advancements." Adamack notes that according to the College of Registered Nurses of British Columbia up to 65 per cent of new graduates will leave the hiring facility or the profession within their first two years. "The turnover doesn’t allow for building strong working environments and poses resource issues for the healthcare system at the time of a serious nursing shortage," Adamack says. "Monica and I anticipate that the outcome of this project will be a best practices framework that will better support our future nursing workforce and it is our wish that academia and practice will continue this work together," says Rush. For more information on the BCNRI Commissioned Research Program and the project, Best practices: Integration of new graduate nurses in the workplace, visit http://www.msfhr.org/news/news_blog/2011/01/BCNRI_Commissioned.